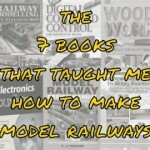 There are lots of books on steam trains that have promise for railway modellers but this one has real potential. For modellers with a passion for steam, BR Standard locomotives were the real thing. While we may have a soft spot for the beauty and record breaking power of the engines of the Big Four for most of us it was the trains of the BR Standard era that we remember. They were the ones we grew up with and enjoy recreating in HO, OO or N gauge. Against this backdrop, British Steam BR Standard Locomotives, which offers the background, history, pictures and notes on them should be in every steam modellers library and will be of considerable interest to anyone interested in British steam engines. I’ve been wanting to read it for some time and a recent return trip to Bristol on GWR provided the ideal opportunity – when better to read a book about steam than on an train passing Swindon! “The strains of maintaining rail services during the Second World War had taken its toll on Britain’s steam locomotive fleet. On 1 January 1948, the British Transport Commission was formed, which placed all existing railway companies under the control of one government organization. This would go on to spawn British Railways. The railway infrastructure had suffered badly during the war years and most of the steam locomotives were ‘tired’ and badly maintained. Although the management of British Railways was already planning to replace steam power with diesel and electric engines, they still took the decision to build more steam locomotives as a stop gap. Cometh the hour, cometh the man! That man was Robert Arthur Riddles; he had more than proved his worth during the war years overseeing the rapid creation of War Department locomotives. Some 999 Standard locomotives were built in twelve classes ranging from super powerful express and freight engines to suburban tank locomotives. The locomotives were mainly in good order when the order came in 1968 to end steam, with some locomotives being only eight years old. 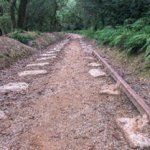 There still exists a fleet of forty-six preserved Standards, of which seventy-five percent are still in working order around the UK’s preserved railways. A further three new build Standard locomotives are proposed. Keith Langston is a widely published and highly respected photo journalist specialising in railway and other transport related subjects. His interest and vast knowledge of all things railway stem from being brought up in the North West of England as part of a railway family. Over the past 25 years he has operated as a contributor to heritage sector journals whilst establishing himself as an accomplished author in his own right. Keith has teamed up with Pen & Sword Books in order to produce the British Steam series for their Wharncliffe Transport Division. His British Steam titles to date have included: Past & Present, Patriot, BR Standards and Pacific Power, with others planned for release in 2013. In addition Keith has produced two further books for Wharncliffe: Fred Dibnah a Tribute and Images of Fred Dibnah, both of which celebrate the life of the late TV personality steeplejack from Bolton, Lancashire. Being a hard backed book at 320 pages in length it feels and is weighty but not too heavy to hold or carry on my Bristol excursion. With a seat on the first train of my journey acquired and with fresh coffee in hand I settled down and extracted it from my shoulder bag. The first two chapters are on Arthur Riddles and a condensed background of the BR Standard Design group which he led. The style and tone of these initial chapters sets the standard the rest of the book. Its airy layout, an eye friendly 11pt type size and numerous black and white and colour photographs make reading easy without feeling the text has been unnecessarily spaced out to fill pages, as is sometimes the case with big books. The many facts, stories and background history are told in a straightforward, easy flowing, writing style that reads easily and reveals Langston’s skill as a writer. But Langston is also a skilled photojournalist and this shows in the selection of pictures. There is usually a photo of each loco and while a few are below par others capture the wonderful engines of the period in glorious detail. Along with engine details, modellers will find the many photographs in the book an invaluable reference aid as they show not just the trains but the engine sheds, sidings and stations and the peripheral trackside features or the structures of the time. In the 1967 photograph of the Britannia Class 7MT 70015 Apollo on shed at Stockport Edgeley, page 55, for example a wheelbarrow left trackside is visible while a ladder can be seen perched against the 70011 Hotspur in the photo of its last overhaul at Crew in 1966 (page 47). 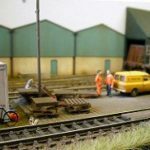 These and other trackside objects and details revealed in the photographs would bring extra realism if added to a model railway and make the book a good resource for modellers of the era. The chapters focus on each class with the naming, specification and history of the locomotives given along with a profusion of photographs, especially of the Britannia’s and Clans. Unusually among books of this type the author also notes what happened to the engines not just while in service but after decommissioning and how they ended up. It’s sad to read how many were broken but but good to read where others were saved. While the detail on some engines is somewhat brief for others Langston demonstrates his obvious knowledge with in-depth and fascinating background stories. The section on the 7100 Duke of Gloucester for example covers the design decisions, the role in the horrific crash on 8th October 1952 at Harrow and Wealdstone in its development, the ‘poor steamer’ reputation and it’s withdrawal from service and ‘impossible dream’ restoration project. The section on naming locomotives for example includes a great background on how and why engines were named followed by a paragraph on the individuals, organisations, places and objects chosen. So far so good but when reading some of these you can’t help but think they were included for padding or consistency and don’t add any extra value or extra insight. This can seen in the section on the 70004 William Shakespeare. Knowing it was named after a poet and playwright widely regarded as the greatest writer in the English language is arguably understandable and it could have stopped there. But the book continues, going onto cover how many children Shakespeare had and when and where he retired! Equally, I’m pretty sure that most people will know that the object the object the 70017 Arrow is named after is “a straight sharp pointed or metal tipped stick made to be shot from a bow”. These however are the only downsides in what is otherwise an interesting and informative book packed with background information, facts and photographs. Looks to be an interesting book but unless I’ve missed it can’t find an ISBN reference anywhere in the write up? This would be very useful in trying to locate a copy either on the internet or at a large book seller. Hi John, good point. I’ve now added this. You can also click on the title anywhere that it’s underlined and it’ll take you to the Amazon page for it where you can buy it. (Disclosure: This is an amazon associate link from which I get a small commission which goes towards the cost of maintaining the site).